Atanycolus sp. (?) (Braconid Wasp (nonspec.)). Size: approx. 8 mm. Photo: 09/03/11, 7 pm. 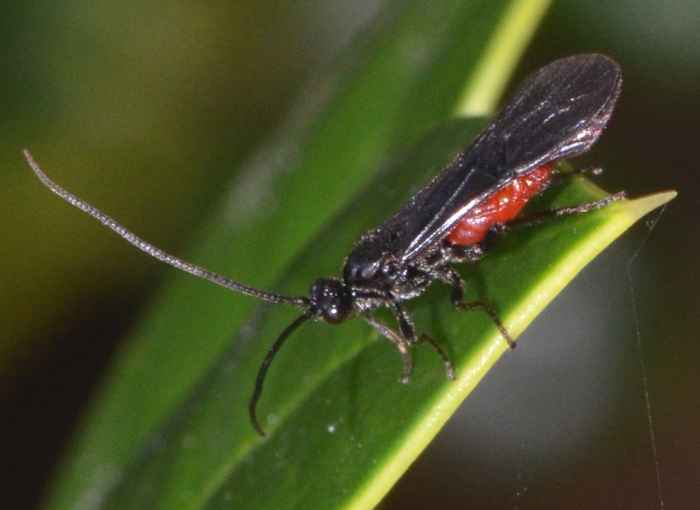 This is a Braconid wasp, possibly in Atanycolus which has 36 species in North America. This genus is a common one within its subfamily but the bugguide warns that it is "next to impossible to identify this genus from images alone".